The Endoscopic Sleeve Gastroplasty (ESG) involves the placement of internal stitches inside the stomach to lessen the volume and change the shape of the stomach, forming a tube. The ESG procedure was pioneered by the famous Mayo Clinic in the US in 2012, and has since grown in popularity due to its minimally invasive nature which reduces patient recovery times, rates of complication and side effects. The BMI Clinic’s Dr Sartoretto was the first to perform the ESG procedure in Australia, and remains the most experienced proceduralist in this field in the country. Is the ESG right for me? How does the ESG work? The ESG is considered a durable procedure, rather than ‘permanent’. The stitches may break over time if they are over-burdened (due to over-eating or persistent vomiting), however scar formation within the stomach typically reinforces the stitches. Studies suggest the ESG is durable at the 2 year mark, and the ESG performs as well as the surgical sleeve in terms of weight loss over 18 months. What does the procedure involve? The ESG will be completed by your Bariatric Endoscopist within 50 minutes in a day hospital, under general anaesthetic. You will be discharged from the hospital on the same day. The procedure is endoscopic, which means no incisions are required. 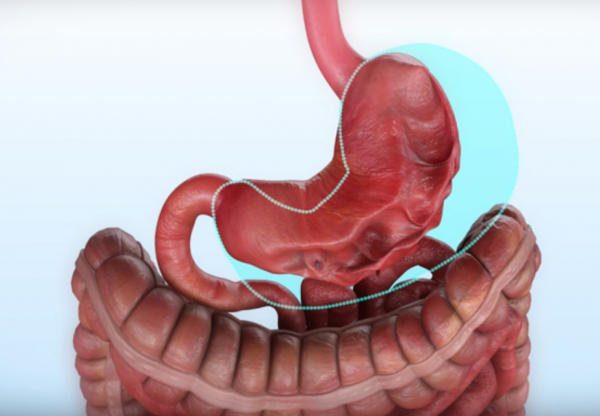 Instead, a flexible tube with a camera (endoscope) is inserted into the your stomach via your mouth. Several rows of stitches are then made within the stomach using a special tool, making it very narrow. How can I enhance my weight loss? The ESG is a tool to aid weight loss, giving you a kick-start by allowing you to control portions as you develop healthy and sustainable habits. We know the ESG is most effective when accompanied by a lifestyle program, which is why at The BMI Clinic, the ESG is paired with either our Silver, Gold or Platinum lifestyle program, delivered by a team of weight loss specialists, including Bariatric Physicians, Nurses, Dietitians, Exercise Physiologists and Behavioural Coaches. Data from our own clinic demonstrates the more a patient engages with the team, the greater their weight loss. How much weight can I expect to lose with the ESG? The more you engage with your team, the more successful your weight loss journey will be. You can expect to achieve 20-25% TBWL (Total Body Weight Loss; ie. a 100kg person could expect to lose 20-25kg on average), however ultimately, the amount of weight you lose and maintain will depend on how closely you follow the advice of your medical and allied health care team. Our Disclaimer: All weight loss results are averages from published studies or from our own clinical experience. Individual weight loss results may vary. Ben, our friendly Patient Liaison will help to answer your questions, advise which options you might consider, and more.